Pressing the “Show Graphic Help” button will display drawings to help you to take the required measurements. The drawings are automatically displayed when you enter a field that requires a measurement or when toy click on the caption for that field. 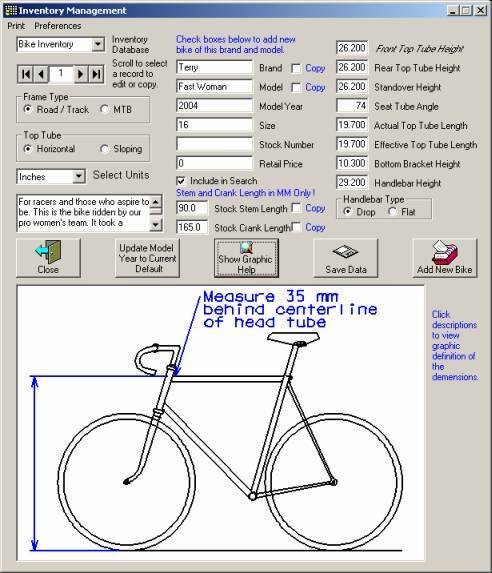 When entering data for bikes with sloping top tubes, some data will be calculated for you based on the measurements that you supply. That covers the setup required; now let’s go sell a bike!